MADRID -- A doctor in northern Spain says a 64-year-old woman has given birth to healthy twins following her second successful pregnancy at an advanced age. Recoletas Hospital medical director Enrique Martin said Thursday that the babies delivered by cesarean section on Tuesday are "perfectly healthy." Diario de Burgos newspaper reports their mother had her first child at age 58, but her daughter has been in the custody of local authorities since 2014 because she didn't attend school and was not properly cared for. The Spanish woman became pregnant a second time after seeking in-vitro fertilization in the United States. She is being identified only by her initials, M.I.A. Martin confirmed that the hospital was discussing with the regional government's social services the woman's ability and resources to take care of the newborns. But the doctor said that he was proud of his team's achievement in providing an adequate medical response to a "difficult situation." "She showed up four months pregnant at the gates of our hospital and all we could do was face the situation and react," the doctor said. Laws in Spain don't establish legal limits on the maximum age for assisted reproduction but the Spanish Fertility Society discourages treatments for women over 50. Last year, a 62-year-old doctor who specializes in IVF treatments in the northwestern city of Lugo appeared before cameras last year holding her third baby in her arms. Lina Alvarez became a symbol for many women as she encouraged them to follow her lead, but she was also the target of criticism as many considered a woman her age incapable of taking care of children in a proper manner. 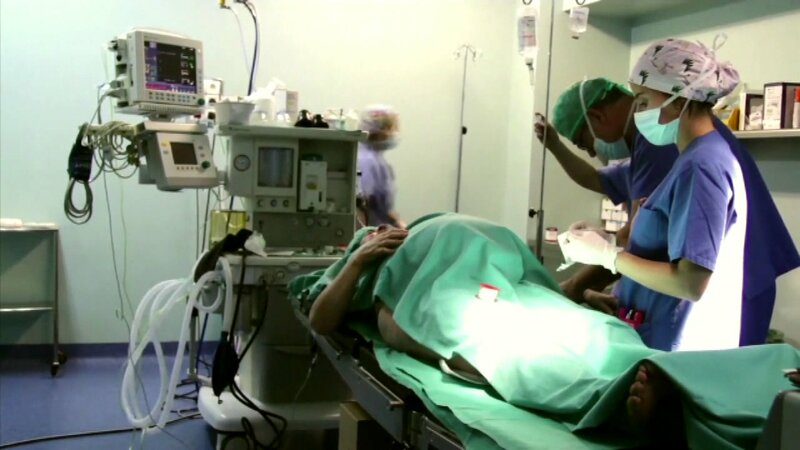 Critics have referred to the case of Carmen Bousada, a 67-year-old woman from Cadiz who paid a U.S. fertility clinic to help her become pregnant and died of cancer in 2006, three years after giving birth to twins. According to local media reports, the children are now under the care of Bousada's nephew.